With over 15 years of professional experience in environmental, health, safety and sustainability (EHS&S), Yen Sen has served more than 80 organizations as a consultant, auditor and trainer. She supports organizations in sustainability reporting, climate change disclosures, compliance audit, due diligence review, and EHS&S related standards such as ISO14001, OHSAS18001, ISO45001, ISO14064 and ISO16745. She integrates EHS&S into business operations with the view that environmental performance, workplace safety and health, and general well-being of workers should and shall contribute to the broader sustainability efforts. 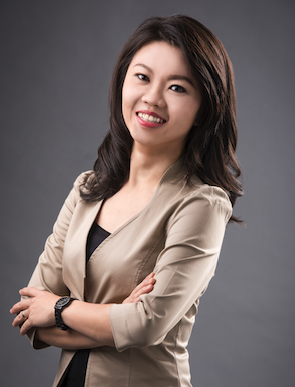 Yen Sen believes the application of leadership, motivational theories, behavioural sciences and communication techniques complements and strengthens competency in EHS&S. It is therefore a modus operandi for her to incorporate TetraMap’s model and Brian Tracy’s personal and professional development programmes in all her works and services. In her free time, Yen Sen lectures part time at the National University of Singapore (NUS) and University of Newcastle (UON), Singapore campus. She is also the author of Beyond Mediocrity, and through the book, she reminds herself and her readers to always engage our inner truth and make better decisions.